Almost four years ago today my mother was diagnosed with breast cancer. I knew that this ran in the family genes but I never thought my mom who was 37 at the time would be the one telling me she had breast cancer. Luckily the doctors caught the cancer early and many treatments were available because of how early they caught the cancer. I was still in high school at the time and was devastated and angry that my mom had cancer. For me at the time, when I thought of cancer I saw death. I found myself feeling lost and unable to focus in school knowing my mom had breast cancer. When my parents got divorced I decided to live with my mom because I’d always been closer to her. My mom was my best friend and someone I just couldn't live without. Imagining a world without my mom was just too painful. When my mom began the treatment I started noticing a change in her personality she was no longer the hilarious, positive, exciting women I had known. All the medication she was on made her depressed and sleepy. I found myself spending a lot of time alone when all I wanted to spend time with my mom. After about six months of pills and the chemotherapy, my mom decided to take her treatment into her own hands. One of my mom’s friends had also been diagnosed with breast cancer around the same time as her. The difference was her friend only did chemotherapy for three months before deciding to go the holistic route. The holistic route seemed to have worked for my mom’s friend because her friend was in remission. So my mom decided to move to California to be closer to this holistic treatment center for cancer. I didn’t agree with her decision to move, so I made the difficult choice to move in with my father and stay in Arizona. Not seeing my mom everyday was hard for me but I knew my mom was happier taking her treatment into her own hands. 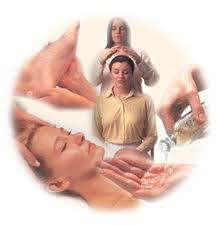 The holistic treatment center was located in Los Angeles, in a small holistic community. When my mom described the area she was in and the people around her I thought it was hippie area with people that smoked weed all day. Little did I know it was the complete opposite. The treatments offered at the clinic involved a vegan diet, herbal teas and cleanses, and a lot of yoga and meditating. When she told me about the treatments I thought how is this supposes to help with cancer? Well with the vegan diet and herbal teas your body is treating the cancer organically. The holistic treatment seemed to be working because when I talked to my mom on the phone she started to sound like her old self again and told me she felt better. The only problem was the location of the treatment center. Los Angeles is an extremely polluted city and made my mom’s asthma worse. Since she was battling cancer, she didn't want asthma problems adding to her sickness. The air pollution was so bad that my mom had bronchitis often and was struggling to breathe. Luckily there was another holistic treatment center in northern California where the air quality is better. So my mom moved to northern California. After two years of the holistic treatment my mom found out that her cancer was now in remission. The doctors were surprised that her cancer was in remission. I was overjoyed when I found out her caner was in remission because that meant I wasn't losing my best friend anytime soon.